Listing courtesy of Elizabeth Cuico (CalBRE #01730092), Berkshire HathawayHomeServices. HUGE PRICE REDUCTION!! 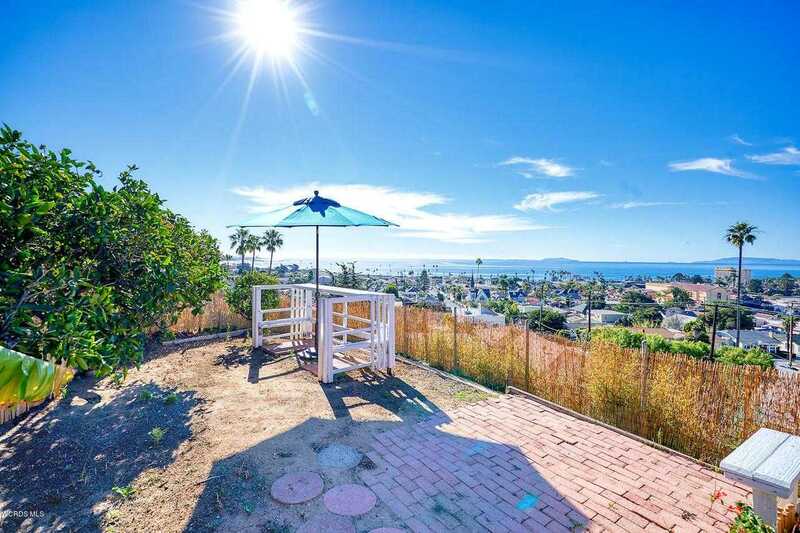 !Absolutely stunning 210 degrees panoramic views of the Channel Islands awaits you on this one of a kind Hillside Home!!! Located in the historic downtown Ventura, with over an 1/2 acre lot this property offers you many possibilities. Zoning allows for you to expand a multifamily property or single family home with guest house. The original wood beams, brick walls in kitchen and brick surrounded fireplace gives this home a unique mid-century feel. Enjoy the beautiful ocean views and city lights from your living room, dining room and bedroom. Steps away from the beautiful Downtown Ventura where you can enjoy restaurants, museums, entertainment and shopping, take a hike at the newly re-opened Botanical Gardens or stroll along the Pier and Beach Promenade. Building size: 1689 sq ft.